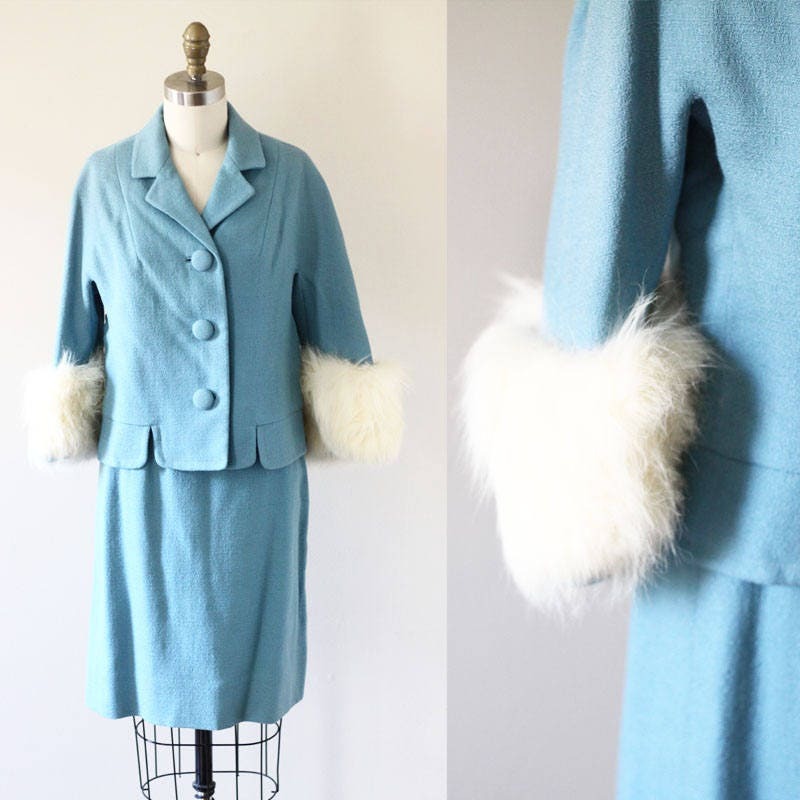 A classic Jackie O dress suit. 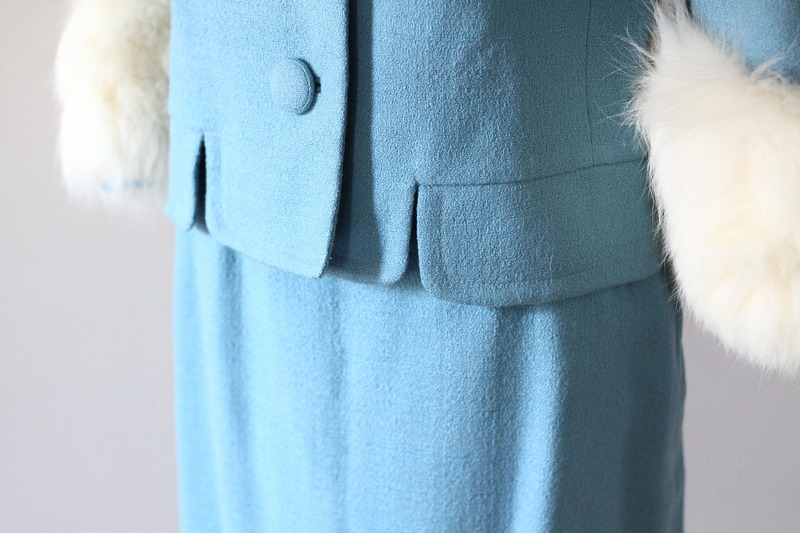 1950s bright robin egg blue wool suit with large fox fur sleeve cuffs. 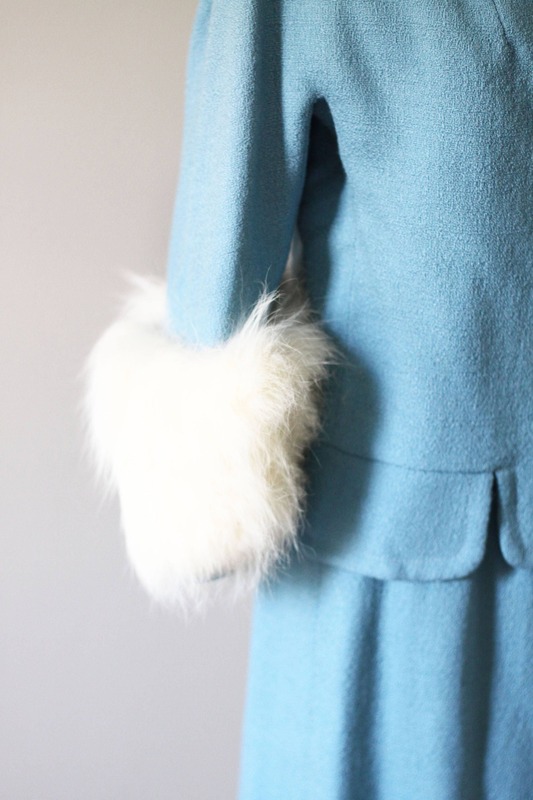 Absolutely amazing construction details like the scalloped edges at the base of the suit jacket. Fabric covered buttons. 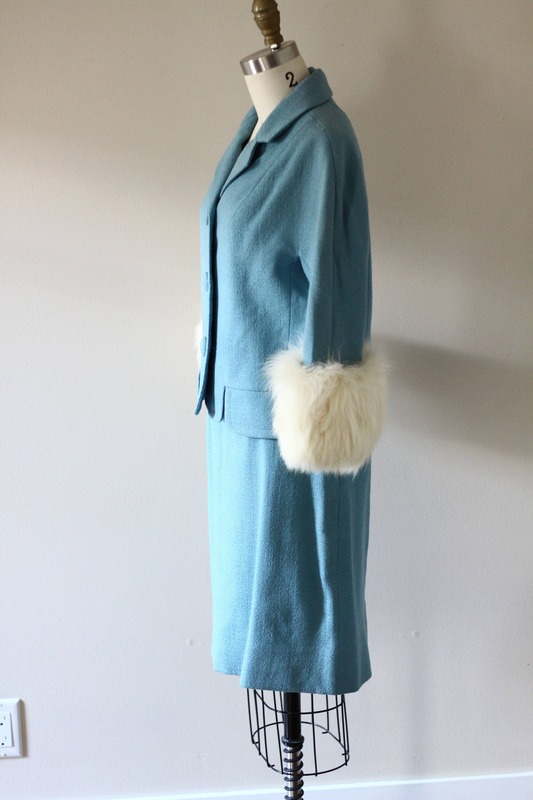 100% wool throughout the suit. 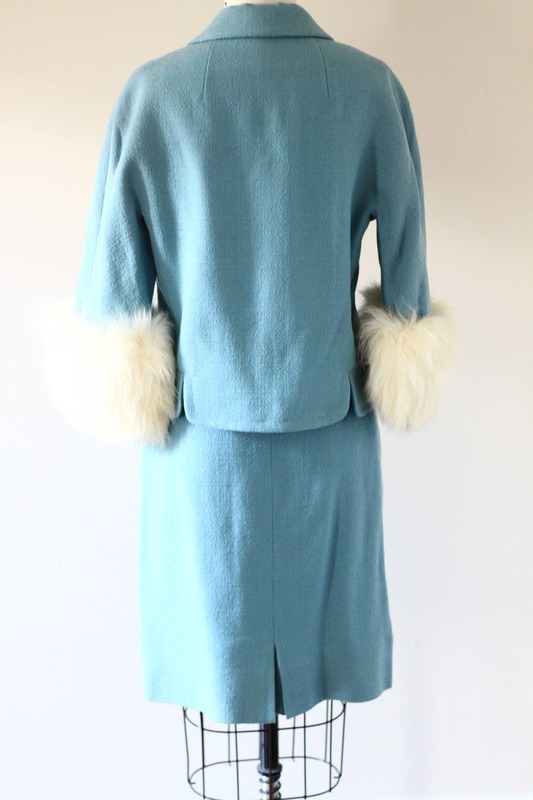 This is an absolutely amazing suit and can only truly be appreciated in person.